Deus Nexus Note: I had this article formated, sitting in my queue, just waiting for the right moment to post. Apparently this is the right moment, with the recent news of galactic wave activity hitting the Earth. It may feel like the rug is being swept away underneath the feet of those who believe in Ascended Masters who will come and save us, and ascension processes that just happen out of the blue. I don’t want to put the whole New Age movement under one big umbrella, but we need to realize (the sooner, the better) that there will be no sudden shift of consciousness that is magically going to lift those who are “enlightened” to the 4th or 5th Dimensions. There are no Ascended Masters who will come down and call upon those who are “worthy” to ascend. I am not saying the there are no “Ascended Masters”, but if they are worthy of their title, they are not going to interfere with our development as individuals, or as a specie. If someone is landing in big spaceships, saying they are here to save you, run the other way. Listen to "The Misconception of the Ascension Process and the Nature of Channeling" on Spreaker. The Ascended Masters, whom some people channel, are not working in humanity’s favor, so buyers beware! Those who show themselves off as either gods or superior beings are frauds or saying they are someone whom they are not. There is a checklist you can use if you’re into channeled material and trying to discern who is who; who’s the “good guy” and who’s the “bad guy” and we are getting to that soon. The same thing if you tune into the “love and light” movement, where they say that if you see and hear no evil, there will be no evil. In a sense that is true, because we create our own reality, but we are also interacting with other people and with different organizations every day, and the sequence is that light comes before love. Light is information, and unconditional love is God or Source in Its pure essence. Therefore, we need the knowledge before we can understand what to do with it. Another thing to beware of are those channelers who say that the Global Elite has the power and you have to fight them. Again, run! There is not much of a difference between Christians, who think that there will be a rapture; those who are “Born Again” will be “beamed up” by God, while the more unfortunate, who may be great people, but are not baptized, will be left to burn in the eternal fire, and the New Age movement where they say that you will be “beamed up” to Paradise in the 4th and 5th Dimensions. So, am I saying that there is no ascension? No, there will be an ascension, but although the ascension process is a natural thing which happens in cycles, it doesn’t come for free. We need to know the dynamics of the process and we also need to be aware of what is happening in our own reality before we can go to the next. In other words, we have to know what we’re doing. Too many people are just reading and listening to channeled material and other metaphysical information, feeling good about it and then go on with their lives like if nothing has happened, certain of that now when you “know”, the ascension will come automatically because they know more than other people. This will not do much for a person’s ascension other than that they have some valuable information. The “secret” to real ascension is to learn about life and then live what we learn! Anyone can listen and read, but it requires some courage to change your ways and start walking the talk. Still, when push comes to shove, the real thing is so much better and more exciting than the illusion (read delusion). In the next subsection, I want to bring up the concept of channeling and some valuable leads how to discern helpful material from not so helpful. I have personally listened to quite a few sources and read more than a few books on the subject, and after a while it becomes clearer what is good channeling and what’s not. We humans have lived generation after generation in fear. There has always been this “invisible authority” present, which we can’t really pinpoint down, controlling our lives, belief systems and thinking in general. Those who speak up are usually, in one way or another, made examples of. This induces fear in others, who want to, but then dare not, speak their truth. Although times are slightly different now, and we are freer and can get away with more, this old, embedded fear is still lingering in people’s subconscious. “If I speak up, I will lose my job”; “If I tell them what I believe, they will think I’m crazy and stop talking to me”; “what will my family say?” We all recognize these thoughts, but they are all based on fear. It’s “easier” to be quiet and not speak up, but still, if we don’t, we will not evolve, and we will not help others see a bigger picture, whether it has to do with our job or spiritual beliefs. The same cabal is still in charge after thousands of years of overt and covert tyranny (see http://illuminati-news.com/moriah.htm), but although we sometimes don’t want to admit to it, we are allowed more freedom here in the United States than we have perhaps ever been. This is not because the Powers That Be (PTB) have become friendlier, but perhaps more arrogant. The Internet has helped humans to connect all over the globe in a way that has not been possible before (at least not since Atlantis), and there is of course little the PTB can do to stop that, other than turning on the “kill switch” and shut down the Internet. In China, certain websites are not accessible due to strict censorship, but here in the west we’re pretty much free to communicate whatever we want. the ETs to control us, not for humans to chat with each other. Then, of course, the Internet can be used by people like me and others, to communicate our truth for free, without having to go through book publishers, promotion, and people having to buy my stuff. If I have something to communicate, I can put it out here and thousands of people can read it. So it works both ways. In the long run, all our goal as spiritual beings is to return back to Source, the Prime Creator. People in the spiritual movement believe that this is our next step on the to- do-list. It is my conviction that this is not the case, though. We are here to learn and experience and we do this as separate spirits, who are still connected with Source on a subquantum level, but when we’re done here, we just go to the next level of learning on a higher vibration. There may be a time when we can choose whether we want to go back and merge with Source and complete our experience, or continue exploring, but that time is not yet, as I see it. Our immediate goal is to further develop our infinite potentials and not become, but realize that we already are, multi-dimensional, and this is quite a different ball game all together. The truth of the matter is that we already are multi-dimensional, but we don’t know it and thus don’t use our potentials. So where would we go? If we are all ONE, and we are all ultimately connected on a subquantum level, where can we go except inside ourselves, into the quantum and subquantum part of ourselves, see our connection to everything around us and transfer that from the micro cosmos to the macro cosmos? Our bodies are originally made to be multi-dimensional. We already have the bodies we need, and we need to stay in them, not leave them. Therefore, we want to stay grounded and not reach for some lofty “God’s Palace” in the sky. We should feel gratitude for having a body; our physical body is our “Temple”; even the Bible says so. It’s because of our body, not by abandoning it, that we can become multi-dimensional. I would say that most channeled material is a confusing mixed bag of truths, half- truths and lies. However, I believe there are channeled entities doing their best to assist us to the best of their abilities, but they are limited as well as we are, in predicting exactly what is going to happen in the future. The way channeling works, in general, is that the entities who temporarily possess a human body (often called a “vehicle”) read the consciousness of that vehicle and at the same time tune into the mass consciousness of the entire population of the whole planet; they “hook up” to the planetary matrix, i.e. everything on the planet itself as a semi-conscious being. They also have access to the Akashic Records of the whole human race, and they have their own mass consciousness and that of the Multiverse to draw information and knowledge from. Some of them are also from our future and past, so they may have quite a lot of information from their own memories to draw from. By having their multi-dimensional perspective, these entities can answer our questions with a high rate of accuracy, but the cons are that when they look into the future, things become slippery. Any and all beings on the planet, although to some degree predictable, make decisions every second of their lives, and these decisions create an outcome. If we then combine the decisions of nearly 7 billion people, the mutual outcome for the human race and everything we affect is quite unpredictable. Thus, it’s very hard for these entities to tell the future of the mass consciousness. It’s always easier to tell what will happen in a day or a week (because less thoughts and decisions are made within this short time span) than it would be to predict what will happen in a year or longer. We then need to include all the timelines involved. All these entities can do is to read the present consciousness of the planetary timeline at which they have entered, predict how the human consciousness will react and act in the future, still based on the time in which they operate, and get a probable picture of the future. However, any channeled entities worth your while will tell you that this is a very slippery business, and it’s preferable not to try to predict things too precisely. When taking part of channeled material, we must consider the agenda of the channeled entity or group consciousness. They can tell us things they want us to know and at the same time exclude what they don’t want you to know. In addition, different entities have different levels of awareness, and just like with us humans; some may be truthful while others lie to push forward their own agenda. We will discuss this problem in other papers as well. It is always a struggle to lay a puzzle that is multi-dimensional, and we have to accept that we are just in the beginning of learning things; whatever conclusions we come to today will be subject to future editing. What holds true today may be “old paradigm” tomorrow in the fluid and ever-changing Multiverse. Another thing that is very important to consider is if the channeled entities are giving your power away or not. Only if the information is uplifting and can bring you to a new level of experience is it worth your time. And if they tell you to give your power to someone else than yourself (Ascended Masters or whomever), same thing; close the book, turn off the CD, and start looking elsewhere for valuable material. A typical example of quality channeling which falls into many of the categories above, is, in my opinion, the Pleiadians, channeled by Barbara Marciniak. In this case, their agenda is known and openly discussed by the entities, and they have been consistently assisting mankind for 23 years as of this writing, without contradicting themselves. Their information is uplifting and educating, and when it’s more on the serious side, it always leads to a solution on the other end. Being open about that they do have a personal agenda and what it is, is a positive thing in itself. Now we know what they want and how they want it, and it’s up to us to agree with them or not. We can choose to be part of their agenda and see how it can benefit us, or we can opt out and choose another direction. According to the Pleiadians, they are us in the future, but also our ancestors. They were part of the genetic engineering of humankind in the ancient past and are now “stuck” in a future timeline, which is not very pleasant to live in. They are directly connected to the events happening here on Earth in this nano-second (see section 1.3 below), and they want us to make more conscious decisions than they did when they were here at this particular time (on their timeline). They chose a machine world before a more simplistic, conscious reality closer to nature, and their “agenda” is to change their own timeline so that the nightmare they are living in now (our future) can change as well. They are refugees from different star systems; beings who have come together as a collective to contact us and educate us on what is ahead. They say we have free will to do whatever we want, but they are hoping that by teaching us, we will make more conscious decisions than they did in their past. If their agenda is successful, it could potentially mean that they cease to exist in their reality while we will thrive in ours, but they are willing to take that chance of creating their own extinction. The alternative, they say, is that if we choose the same route as they did, it’s a good chance we will end up where they are. An interesting thing the Pleiadians talk about is the “nano-second”, which is their name of the time period between 1987-2012. That’s when the energies on this planet are increasing exponentially, partly due to that we are aligning with the Galactic Center, an event that is already happening, but is culminating on Winter Solstice, 2012. This is the major reason for the mass awakening, but also for the suppression of the same by those in power, who want us to stay asleep and ignorant of our true selves. These suppressive forces are both humans in apparent power of this planet, and beings from elsewhere. thoughts, but this is not the whole answer. If we weren’t ready to wake up from our spiritual slumber, the Internet wouldn’t have done the trick. There is still a lot to do before enough humans have woken up to make a radical change in paradigms, but we are quickly heading in that direction. The Pleiadian time frame (1987-2012) feels pretty accurate to me when we realize that the mass awakening has happened more or less within the last 25 years. They say we have this small time window when there are intense energies hitting Earth from the cosmos, mostly on the gamma ray level, which heavily affect our bodies and our minds. Energy is not only something which supports basic life, but also energy on a quantum level, as encoded information, and it is this information which is triggering our dormant DNA, connecting us with the Multiverse. Our own Sun, which is also connected with, and affected by, the “Womb of the Mother”, the Giant Sun (or huge collection of suns) in the Galactic Center, is more intense than normal, and is directly affecting us and our mass consciousness here on Earth. Therefore, it’s very important that we always stay grounded and in our bodies; especially now while this process is so intense. All the information from cosmos that we “download” during this time will help us tremendously after 2012 when the energies slowly go back to a more normal level, and time as we perceive it will gradually slow down again. So, we need to be very mindful right now and work on connection with these energies, or it will be so much harder afterwards. This boost of energy which we are currently experiencing is a “free ride” if we are receptive, ready and willing to take it all in, and when the nano-second has passed, we have time to process what we have gathered. This makes it so much more important to “follow our heart” and our “instincts” (intuition), and trust what we feel. We are living in times where we will find the intellect being useful, but also quite limited. These are not the times where the logical mind can figure things out on its own; it needs big help from the heart chakra. Not until we have opened our hearts and started “feeling” can we more accurately analyze what is going on and how to proceed. Mulder was wrong when he said that “the answers are out there”, and that’s why he never found them. The answers are within, and that’s where we need to start looking. The yearning many of us feel inside to ascend to higher densities is not just programming and deception. It’s also because a fragment of us remembers how it is to be multi-dimensional. How many of us haven’t looked up in the night-sky, watched the stars, just to get this feeling that we “want to go home”? Some of us may even feel a little sad or get a feeling of being lost. We don’t really understand why we feel this way, but there is a reason. It’s not necessarily because we don’t belong here on Earth and therefore want to “go home” to some other star system. It’s more that we miss our abilities to be multi-dimensional where the whole Multiverse is our home. We feel a little bit like someone who is in prison, looking out through the bars, seeing the world outside and get this longing for freedom. reality we don’t like. We feel we are trapped in a control system with no way out, and ascension seems like the perfect escape. 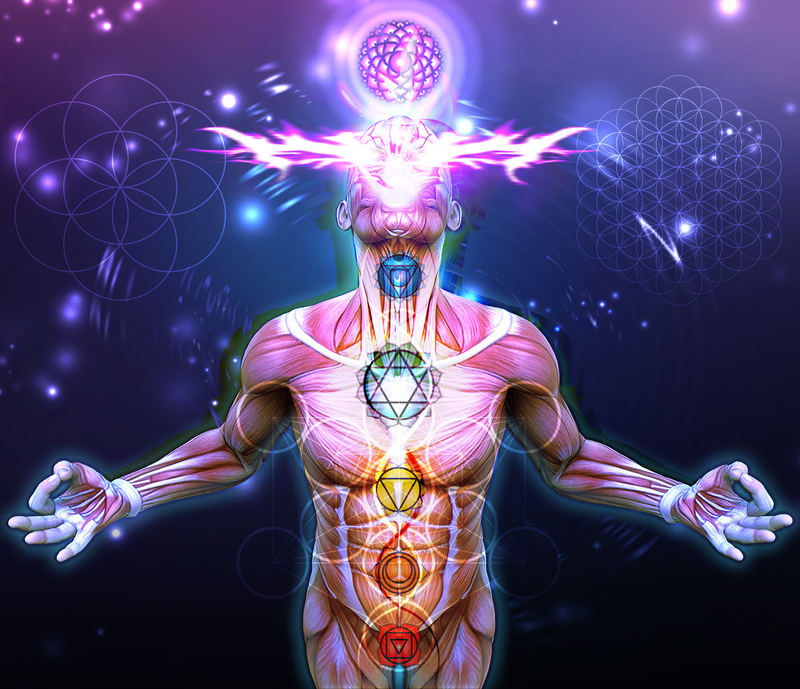 The ideas of ascension and Ascended Masters have also been promoted by certain secret societies over the millennia, mostly to keep people who are thinking outside the box trapped within the 3rd Density. The orientation that humanity is emerging from the relative darkness of the 3rd dimension to the 4th dimension is a misconception of the modern-day New Age movement. Humanity evolves to embrace the multiverse, and as it evolves it discovers that its superuniverse is accessible to the human mind in ways that defy logic. This is the stage upon which humanity is entering, and it is not to ascend in a vibratory epiphany to a higher dimension, but rather it is to interact with a broader multiverse of intelligence that heretofore has only been imagined by a handful of humanity’s finest representatives. Humanity will remain in the 3rd dimension, but will increasingly become aware of the higher dimensions while living in the 3rd dimension, even as First Source, its creator, does. First Source lives in the 3rd dimension, but is simultaneously aware of itself throughout the spectrum of the multiverse, and through Source Intelligence, is aware of all life forms in all dimensions. The Pleiadians say something very similar. Still, it’s not the most important thing what other people or collective entities say; what’s important is what you feel and if what you’re learning gives you power and inspiration, or not. That’s what matters, because you are the one who ultimately will have to use what you learn. These special times we are living in are very challenging for many; both for those who are thrilled by the incoming energies and learn from the light fragments carried on by the Sun, and those who are still not awake enough to recognize them consciously. There is no doubt that this dance of increased energies will also affect our environment, and it already does. Some people think that the Earth changes will soon cease to happen, after an imagined culmination in 2012, but they will continue years after that. Not wanting to be alarming, but still getting real, I am sorry to say that the earthquakes, tsunamis, global warming (the real one), flooding, hurricanes and other natural phenomena which are not manmade by HAARP and other similar projects, will continue to occur with increased intensity long after 2012. The main reason for this is the cyclic passing of the tenth planet in our solar system (if we include Pluto), Nibiru, the giant celestial body which has a 3,600 years orbit around our Sun. As Nibiru comes closer, there will be dramatic effects here on Earth and the rest of the solar system. We can go back every approximately 3,600 years in time, and we will see cataclysms having occurred with various intensity and destruction, depending on from which angle Nibiru is entering the Inner Solar System. We will discuss Nibiru a lot in these papers; not just as a celestial body, but as an inhabited planet with intelligent life. 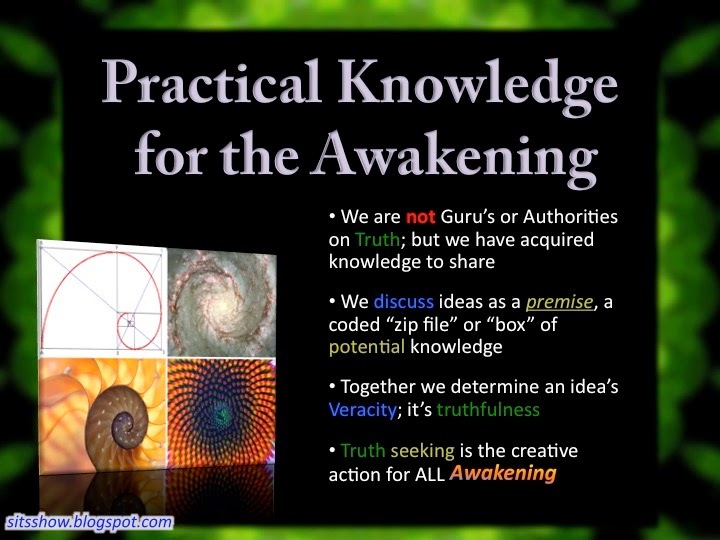 One of the main things is to be prepared; not only for the earth changes, but for the changes within, where the mass awakening is taking place. Those who have prepared themselves by starting the process to connect with the Multiverse will have a much easier time going through the transition, while those who haven’t prepared at all, or are totally ignorant to what is going on, will have a very tough time, and some will even go insane and/or commit suicide. I am not saying this to scare the reader, just as a matter of fact. We can already see this happening around us; many people are totally overwhelmed by their life situations and don’t understand what is happening. This is why I believe the information in these papers are so important. If nothing else, I am hoping they at least trigger something within the reader to start the search for the Holy Grail, the Inner Knowledge. Also, different timelines are merging as we become more multi-D. We will talk more about this in another paper, and how we live many different lives simultaneously on different timelines and in different time periods. This may not be real to some of the readers at this point, but will be clearer the more you read. Others are having vivid and lucid dreams, where they connect with their multi- dimensional selves, meet with dead relatives or spirit guides (who sometimes can be one and the same). For those who can interpret the symbolism in their dreams may learn a lot of what is happening in their lives and in their environment. After all, it is in the dream state where agreements are made, and in certain terms, the dream state is more “real” than our awake state, due to that we are more multi- dimensionally connected on a quantum level in our dream state than when we are when awake. Many people will become more psychic and telepathic during this period, and when we notice something like that happen to us occasionally, it is important to embrace these moments and acknowledge our new abilities. Also to recognize them when they occur and work on developing them even more. It’s a crucial part of being multi-dimensional. In the Multiverse most evolved beings are living under “The Law of One”, which is the understanding that we are all ONE and what we are doing to another we do to ourselves. They have the knowledge as of who they are and where they came from. Still, it needs to be said, that even in the Multiverse there is corruption, power struggles and wars (as above, so below), and not everything is bliss just because we open up to new realities. The Multiverse is there to be explored (it’s the whole purpose) and all beings have “free will” to experience anything they like; that’s the beauty of the game, if we look at it from the original, intended perspective. No one is going to punish you for doing something counter-survival, except yourself. We have all heard the expression “what comes around goes around”, which simply is another expression for the term “karma”. So, we will notice when we open up our chakras that it’s still up to us how we want to explore the Multiverse; we can do it from a positive viewpoint or from a negative. It is up to the individual and/or the species. As long as we are separate from Source and are experiencing the Matrix/Unum/Multiverse, there is going to be polarity, though. The huge difference between now and then is that all choices will be available to us, and we can go anywhere we want in the Multiverse, but still have our base in our biological bodies. The planet we live in at the moment is very dense and vibrates within a relatively low frequency band. Things here, including our bodies, are pretty condensed and heavy. The lower the vibration, the more solid matter becomes. Hence, it’s sometimes hard for many visitors from the rest of the cosmos to stay around us for a longer period of time, because outside of Earth things are much less dense. After a while, they get quite uncomfortable and need to leave, or if they don’t, they may get caught up in our low vibration and may even get stuck here, which has happened. This is one of the reasons why people see strange looking creatures all over the globe, and creatures coming up from inside the Earth. Although there are native creatures living inside Earth as well, some of them are not from here and had no intention to stay. Astronauts who have left the Earth’s atmosphere are witnesses to how different it feels when they leave the planet; they say it feels like a big burden has been lifted from their shoulders. Their thinking process is easier, their bodies feel healthier and they become almost euphoric; and also, interestingly enough, the noise inside their heads are gone; it’s silent! When they leave Earth, they get out of its frequency range and feel a taste of how Earth would be if we all increase our vibrations. Once the astronauts return to Earth, they get caught within the low frequency mass consciousness again, with the consequence that some astronauts and cosmonauts fall into chronic depression, and many start having alcohol problems. The Ra Material has been available to us since the 1980s, channeled by Carla Rueckert between 1981 and 1984; the late Don Elkins asked the questions and Jim McCarty was the scribe. These three persons made up the group who channeled The Ra Collective, claiming to be a 6th Density Collective Consciousness, whom have visited Earth in physical form in the past. The result of the channeled sessions, which were assembled into 5 books called “The Ra Material” or “The Law of One”, were considered a break-through in metaphysics due to the wealth of information and Don Elkins’ brilliant questions. Channeling and metaphysics have not been the same since, I think I dare say; at least not until the Pleiadians came into the picture in 1988. Many entities came after and said similar things, but the Ra Material was one of the pioneer channels of modern time. I have read all the 5 books at least twice and also skipped around in them when needed for research purposes. There is a great website where a fan of the material set up a searchable site with all the info, so that you easily can find anything you want, sorted by categories, words, phrases and whatnot. The web address is http://lawofone.info. Carla Rueckert’s current website is http://llresearch.org/. This material probably found a new life within the spiritual movement and the metaphysical research community after an anonymous person, calling himself “Hidden Hand”, posted on the Above Top Secret Forum in late 2008. I recaptured the conversation this person had with the forum members (we actually don’t even know the gender of this person but will make him male for the purpose of our discussion), and made an article out of it, which has become extremely popular; perhaps one of the most popular articles I’ve ever posted. I called it “Dialogue with ‘Hidden Hand’ — Self-Proclaimed Illuminati Insider”. This person, revealing a lot of interesting information about who is controlling our planet, including valuable data regarding things that revolve around that subject, also mentioned the Ra Material as being one of the most accurate channeled information on the planet today. This statement had many people, including myself, read the books for the first time. First of all, Hidden Hand is not a friend of humanity, from our every-day perspective; he is a catalyst. Some people saw him as an ally and helper, but it’s easy to forget that he is a mass murderer and a very negatively oriented being, claiming to belong to a bloodline not from this Earth. Secondly, he is promoting the Ra Material as being a more of less impeccable source (claiming it to be around 97% correct) So I read the material and was fascinated to say the least. The Ra Material opened up quite a few doors and changed my way of thinking in many ways; it was a huge stepping stone for me. Even today I consider much of this material being accurate. Still, like with everything, we need to use discernment. The difference between the Ra Material and the Pleiadians, for example, is the lack of intimacy in the first. You get the feeling that the Pleiadians are “real” beings in the sense that they can show emotions and connectivity with the audience. Although I haven’t heard an original session between Ra/Carla Rueckert and Don Elkins live (only when David Wilcock channels them), reading the material gives me the feeling of “robotism”; the Ra Collective is quite emotionless and almost machine-like in their presence and their replies. This always bothered me, but I put that aside in favor of the great information they provided. The Ra collective claims to be 6th Density beings, having visited our planet on a few occasions in the far past, and now they are quite close to completing an Octave (densities 1-8, where 8 is the transition from one Octave to the next). The Ra Collective basically contacted humanity to prepare us for the “Harvest”, which is an event that, according to them, happens every 75,000 years, and will happen around 2012. They say that an Earth cycle is now coming to an end, and those who are more than 51% “Service to Others” than “Service to Self” are vibrating high enough to ascend to the 4th Density. Those who are not, will be left behind and recycle into another 75,000 year cycle in 3rd Density, but on another planet. Earth is, in their words, now ascending to the 4th Density as well; in fact, it already is 4th Density. Those who vibrate high enough will stay on this very Earth and transform together with it into 4th Density. The similarity between the RA Material and that of the Pleiadians are remarkable, especially as they approach the same thing from two different angles. I find this fascinating and convincing, as they seemingly are not from the same collective. Both the Pleiadians and RA are talking about “ascending” to a New Earth of higher vibration, which can carry our new, higher consciousness. RA call it the Harvest, and although the Pleiadians use this term once or twice as well, they are saying that Earth will basically be splitting into two Earths, metaphysically speaking; one will stay in 3-D while one will be a 4-D Earth. Service to Others (STO), for those to which this term is new, means that a person is ready to serve their fellow man and their environment when help is needed and asked for. This is done unconditionally, without the person asking him/herself, “what is in it for me?” You simply don’t expect anything in return. If someone wants to pay back for your service, it may be accepted, as this is the other person’s way of feeling gratitude, but should never be asked for or bargained for. STO is done out of Unconditional Love, which is a basic attribute of Source. Service to Self (STS) is, as the term indicates, the opposite. If you do something for others, you always ask yourself what you can gain from it. You don’t do things to help others out of Unconditional Love for All That Is, but for your own benefit. The Service to Self person is experiencing a manifestation of Source where taking is much more important than giving. STS indicates that it’s the work of the Ego. I need to add that there is nothing wrong with having an ego. Without it, you wouldn’t be able to think intellectually. In some factions of the New Age movement it is important to get rid of the ego because the ego is something bad and egotistical. Not necessarily so, though. It’s only when the ego totally takes over and the person acts like a “besserwisser” that ego becomes a problem, or rather an obstacle to opening up your heart. According to Ra and many other metaphysical sources, it’s okay to be either way, it’s just polarity and different experiences. However, karma is always an issue, and those who choose STS sooner or later have to deal with their own karma, so that they may suddenly find themselves on the other end of the rope, where someone else is taking advantage of them to the same degree they did it to others. So it’s just a matter of choice, and either way, we all return to Source, according to Ra, although it will be harder and take longer if we choose the STS route. Both Hidden Hand and Ra say that if you are more than 97% negative, or STS, you ascend to 4th Density Negative, where you have to gradually live out your karma. This is something compared to living hell, similar to what we sometimes see in movies, where everybody is fighting against each other without remorse, and they all have to watch their backs 24/7 and trust no one. Not a desirable place to be. I am bringing up the Ra Material and Hidden Hand quite extensively here because they have become such a big part of the spiritual movement. It can’t be stressed enough that we need to pick out what resonates from any material and leave the rest; it’s very dangerous to swallow everything someone says, no matter how right it sounds. No one has the whole truth; it has to be sought in layers inside ourselves. Seek inside, take in information when needed, but with caution, and create your own reality; the one you want to live in. It is most important that we learn how this current prison planet is set up; webs of deceit spun within webs of deceit. It’s very cleverly done and it includes the metaphysical realms to a very large degree as well. Like attracts alike, as we know, and there are bonds and treaties between all kinds of different beings in the expanding Multiverse. Still, it is my absolute conviction that the Multiverse is basically a friendly place and always works in our favor. It is us who need to decide what we want to experience. Ask and ye shall receive! Unconditional Love, Service to Self, and Service to Others are of course “the real deals”. By helping others when they want our help (without forcing help on anybody) is boosting the mass consciousness and what one person does will affect everybody else to some degree, so if we want to stay positive, live a happy life and start vibrating on a higher level, Unconditional Love, Service to Others and Self in a healthy mix is the way to go. do now. The logic behind this is, according to both sources, that if we are 51% or more Service to Others than Service to Self, we vibrate on a 4th Density level and will ascend; it’s not a punishment not to ascend, just physical law. However, here is the catch: people who are buying into the Ra Material and Hidden Hand too much, often develop a bad conscience, and may even get anxiety due to that they constantly think about if they are 51% STO or not. By the end of the day, they may have doubts if they are “good enough”, or if they are doomed to experience another cycle in 3-D. Connecting to the Multiverse is a matter of opening up our own chakras and minds to endless possibilities. Once we understand that we are all ONE with the Creator, and there is no separation; when we truly understand this the rest comes quite naturally. We don’t even think in terms of if we’re “good enough” or not. We just know we are all in this together and what you experience, on some level I experience as well, and vice versa. Once this is realized, we are no longer thinking in terms of “good” and “evil”. Everything is experience, and if we encounter something we don’t like, we know it’s there to show us and teach us something. And we also stop blaming others for the situations we’re in. We know beyond any doubt that we are a major part in what we are experiencing, and as long as energy is moving freely and easily, we’re good to go, and we learn something. Also, ponder the following interesting fact: those who are controlling us, originally from elsewhere, may be more intelligent and more technologically advanced than us because they originate from older civilizations. Still, humans who are waking up here on Earth today with a positive attitude are, in ways that count, more advanced than they are already. We understand that wars and negative control is something of the past and not something we ever want to engage in again. We don’t need to bring fear unto others to get things our way; we know we can’t win by meeting fire with fire. We do things out of Love and Understanding because that’s just the way we think, naturally. We are fully aware that using weapons and violence as a mean to accomplish goals is always a sign of lower awareness and lower consciousness, whether we talk about ETs or humans. We are the future, they are the past, and one day, not too far away from now, they will no longer match our frequency and will not be part of our reality anymore until they too have come to the same conclusions as we have. The way we have been set back on this planet and brought down into oblivion is by letting those in power take our power away. How many belief systems have been invented for us? How many have we invented ourselves? How many religions and spiritual paths do we have to choose from? How many religious leaders? Gurus? Ascended Masters? How many variants of Jesus and God? No one can say we won’t have opportunities to pick and choose. It’s like when going to the supermarket; you want to buy shampoo, and lo and behold! there are an overwhelming amount of different brands and varieties within each brand to pick from. Still, they all basically do the same thing; they wash your hair. Feel free to pick the brand of your choice! The prison guards won’t stop you, as long as you choose from the brands they decided and don’t try to substitute them with your own. As we move along through these papers, my intention is to challenge the reader to start thinking with their heart more than their heads. It’s fine to try to wrap our head around things, but the trick is to know when to use our hearts and when to use our heads. These papers are going to challenge both; how much so will differ depending on the reader’s current understanding, but my hope is that everybody will feel challenged to a certain degree at least and have quite a few “aha” moments, just like I did when I researched this. As we move up through the “Levels of Learning” (which is how these papers are set up) things will be even clearer. At the point of this writing, I believe I have Levels I and II ready in my head, but after that, I don’t know either what will be revealed. No matter how much I read and listen to lectures, talk to people or watch videos; it’s when I start writing that things begin to really fall into place. Read Book: "Hidden-Hand" Tells All: Secrets to the Universe From Beyond This Realm! Barbara Marciniak, residing in Apex, North Carolina, and this particular group of Pleiadian refugees of a higher multi-dimensional than we humans, are not very fond of the technology we have developed here on Earth up to this point. They don’t bash out on technology at large, only how it’s used. Therefore, you can find very little of their material on the Internet, but can contact Barbara or her staff to order the CDs with her channeled material at, Bold Connections Unlimited, P.O. Box 782, Apex, NC 27502, USA. Barbara does in fact have a modest website, which is sparsely updated, which the reader can visit at http://pleiadians.com. “The Pleiadians”, channeled by Barbara Marciniak on August 13, 2010: “Awakening to the Sun”, CD 1, Track 2. The RA Material ( or “The Law of One” Material) was channeled by a group of three people in the early 1980s. 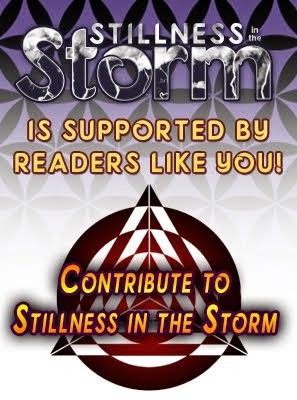 This consciousness is called the “Ra Collective”, and is a 6th Density group that was channeled through Carla Rueckert over a short amount of time and resulted in 5 books containing the complete channeled sessions from these beings. http://lawofone.info. The Ra Material in book format can be ordered from the channeler’s website: http://www.llresearch.org/library/the_law_of_one_pdf/the_law_of_one_pdf.aspx. Interview with James of the WingMakers, by Project Camelot, ©2008. http://www.wingmakers.com/downloads/Interview_James_PC.pdf.